Chaotic: A condition or place of great disorder or confusion. Does that describe your life? Does that describe your mind? This morning (actually yesterday morning since I’m posting this the next day) the Lord gave me His fabulous solution to order, peace, and clarity. This is definitely NOT my white house! I woke up expecting to spend time with the Lord (alone). However, once I fixed Robert his breakfast, packed his lunch (4+ meals) and kissed him goodbye, hopped on the couch to seek the Lord and there it was–that voice “Mawwww–Meeee!!! Is it ‘wake-up’ time yet?!! !” I ran in to get Emma and ended up reading her two books. Time was fleeting but my desire to be with the Lord wasn’t. I fixed her breakfast then plopped her in front of the TV. For the next 90 minutes, I was able to sit on the couch, study His word, seek His face, and encounter Him in radical ways! (Yes! Emma watched 90 minutes of television! It’s worth it for me to spend time with my Lord.) She did sit on my lap half of the time (which does not have a lot of room now that I’m almost in the 9th month of pregnancy, but we made it work). I have a lot to do before this baby comes. Each day seems to slip by faster and faster. This often results in a great temptation for me to carry around chaos and disorder. I asked the Lord what He wanted me to seek Him about. He said “remember.” He wanted me to remember Him and His goodness. The story of the sun standing still in Joshua came to mind. If God can make the sun stand still, then He can help me get everything done today that I need to get done (without stressing out and going crazy!). My journey to study the word “remember” ended up in Hebrews 1 through 4. I really have no idea how. It was one cross-reference to another and soon enough I landed on Hebrews. It was a gold mine! Everything was hitting my heart and spirit like a firework. I would read a verse thinking I would stop there and dig deep when the Lord would ask me to move on. I had puddles and puddles of scripture that I could have dived into and found treasures at the bottom, but I didn’t. I ran across a verse that exploded in my heart and stopped there. It painted a picture for me that gave me the visual solution to a stress free and peaceful day. I began to mentally paint this picture of who God was. Imaging this image of God, everything was melting away. In Daniel 7:10 it talks about God, the Ancient of Days, sitting on His blazing throne and coming out of the throne was a river of fire! A RIVER OF FIRE! I began searching the word of God for that river of fire. I wanted to know more. I wanted to know why, how, when, where, etc. Even though I found that this fire was mostly connecting to God’s wrath, the Lord began to teach me another side to His river of fire. Fire can be good and fire can be dangerous. In the Word, His fire can be His wrath and His fire can used to describe the Holy Spirit. The Lord asked me “What’s the point of a fire?” Without looking it up, my first response was “To burn up all that is dry.” I didn’t really know if this was correct or not. 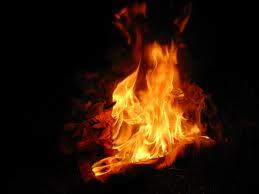 What God told me was that His all-consuming fire can lick up anything and everything that is dry and not of Him. Whew! That was good! How appropriate is that connection? When we allow the fire of the Holy Spirit to come before us in our day, we will benefit greatly! He can burn up all that is not of Him. He can reduce the hazards of our day that might result in an emotional breakdown or blazing blow up. He can stimulate the growth of new life and potential. He can renew your heart, home and day. 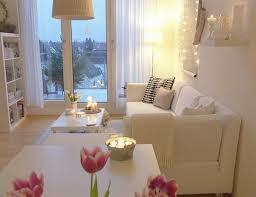 And he can help the habitation of your home. Therefore, today the Lord revealed to me that the calming of a chaotic life or mind is found in the Holy Spirit–in His river of fire. As we allow Him to burn before us as we walk, He will calm anything that is dry and not of Him, resulting in His peace. So good! Let Him burn before you today and lick up all that is not soaking wet with His presence. Yesterday I began with the word of “remember.” After the house was cleaned and I was waiting for Robert to come home, I heard the Lord ask me to spend time in sweet communion with Him. I grabbed myself a glass of juice (apple; it was the only juice we had) and a piece of bread. I turned off all the lights, grabbed my headphones and jumped on the couch. Emma was sleeping (late nap) so I began to worship Him. It was beautiful. 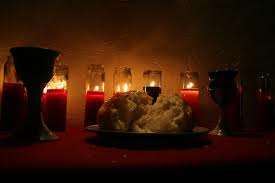 As I communed with Him on the sofa, I began saying “This is the bread, I take it in remembrance of you, Jesus…” REMEMBER! REMEMBER! There was that word again! The Lord brought the entire day to completion. I began by remembering who God was, is and wants to be in my life. And I ended the day by remembering WHO Jesus was, is, and wants to be in my life. What a beautiful completion to a day with my Lord. Praying that you have a beautiful day in His presence as you allow Him to lick up and burn all that is not of Him. Chaos free and peace-filled!